If your tree has an excessive amount of branches that appear to be broken or are falling off, then it’s not healthy. Some of the branches may also be dead. One way to see if a branch is dead or not is to use your fingernails to see if you can easily scrape its outer layer. Branches that are alive will have a green layer underneath. Also, branches that are dead will snap quite easily, while living ones will bend. The bark that’s on the trunk of the tree should not be peeling or coming off. There also should not be any excessive fungi growth, including mushrooms. If there are large visible cracks or gaping holes, that’s another sign that it’s rotting away. One way to preserve the health of the trunk is to not damage it through hitting it with garden tools. Any holes to it can leave it vulnerable to insects and other diseases. The vast majority of trees will exhibit some level of growth every year. This is a bit harder to check for, but in order to do so, you can check the scars on a branch, for example, to determine the length between this year’s buds compared to the prior year’s. If the growth has slowed significantly or is virtually non-existent, this may be an issue. The leaves on an unhealthy tree will have unusual shapes or will be discolored. They also will be falling off the tree before the fall. This could mean that the tree is dying or that it is experiencing a bug infestation. If only part of the tree has leaves, while other parts are sparse or completely devoid of leaves, this is yet another warning sign. In terms of leaves that are discolored, the major warning sign is if they’re brown in color. If your tree exhibits one or more of the above warning signs, don’t start writing the tree’s eulogy just yet. There’s a good chance that the tree is simply sick and is not dead or unable to be recovered. 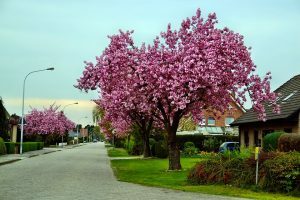 By having calling an experienced arborist to examine your tree, you will be able to get a more conclusive report as to its health. Lewis Tree Service employs an expert team of arborists and will be able to determine not only the health of your tree or trees, but also the best course of action to take to rectify the issue. 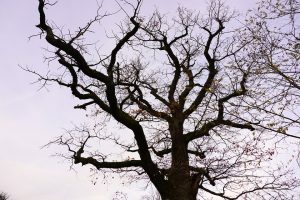 We have been serving the Santa Cruz and Monterey areas for close to 30 years and would be able to send an ISA certified arborist to your property immediately. Make sure to contact us today for a free quote!